Jérôme Castagnier is fifth generation, though passage through the female line and sons-in-law has changed the family name: the originator Jules Séguin was succeeded by Albert Rameau then Gilbert Vadey, a military man, who developed the business, working closely with Alexis Lichine. 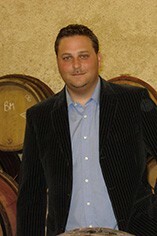 Guy Castagnier, born in Algeria, married Mademoiselle Vadey and began working at the domaine in 1975. Since 2004 the wines have been bottled as Domaine Castagnier. Jérome, the sole son, did not originally intend to join the family business, becoming instead a professional trumpeter, in the Republican Guard. In 2004 he left Paris and the army and came back to Morey-St Denis. 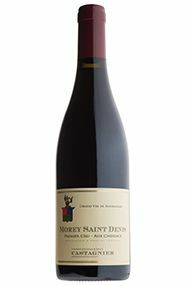 This comes from one 60-year-old parcel in Morey-St Denis, with two-thirds Pinot Noir, one-third Gamay, co-planted. A very correct, frank and bright wine, it has a lovely crunchy and tasty palate, with just a hint of cassis. The pleasure of simple things. Drink 2018-2021. Jérôme Castagnier is fifth generation, though passage through the female line and sons-in-law has changed the family name: the originator Jules Séguin was succeeded by Albert Rameau then Gilbert Vadey, a military man, who developed the business, working closely with Alexis Lichine. Guy Castagnier, born in Algeria, married Mademoiselle Vadey and began working at the domaine in 1975. 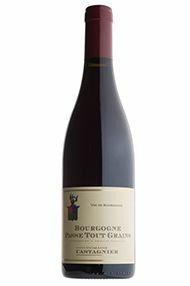 Since 2004 the wines have been bottled as Domaine Castagnier. Jérôme, the sole son, did not originally intend to join the family business, becoming instead a professional trumpeter in the Republican Guard. In 2004 he left Paris and the army and came back to Morey-St Denis. Across his several appellations, Jérôme Castagnier is very fortunate, as all his vines are in single plots in each vineyard. As at other addresses, his Chambolle was worst hit by the frost (down 70 percent), then his Clos Vougeot (50 percent), but his Morey vines and other Grands Crus were only down by 10 to 15 percent. He didn’t have any problem with the mildew, possibly due to the homogeneity of his vineyards. Jérôme loves the style of his 2016s and considers it a better vintage for him than 2015, itself something of a turning point for him and the domaine. There is a very good feel about this enthusiastic and hard-working vigneron, and he is still refining his style. This is from the Pâquier des Chênes vineyard, towards Gevrey, planted with 40-year-old vines. Everything was de-stalked as the stems weren’t ripe enough on the lower land. It has very juicy fruit, enhanced by 20 percent from Morey Villages which was too small to vinify separately. Drink 2019-2023. This starts promisingly with a glowing, purple colour throughout. It enjoys a very fine, heady nose, succulent and satiny, with a little touch of darker fruit, beautiful concentration and elegance. The whole is supported by a firm structure. This is swimmingly good, with a really long finish to boot. Our jovial friend Jérôme Castagnier has excelled himself this year. The promise we picked up on last year has really been delivered in 2014. He says that the wines have lovely flesh but also a beautiful freshness, and notes some similarities to 2010. His generic Burgundies (available on www.bbr.com/burgundy2014) are also excellent. Jérôme chooses to serve this last, and he is not wrong. 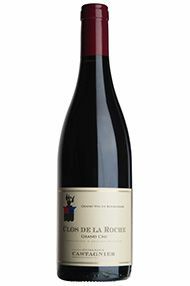 Striking, rich purple in colour, with some well-judged oak, this is very dense, with pure, lifted, concentrated, dark red fruit, good acidity. Overall it is very compact, ultra-concentrated, with a pretty, fresh finish. In short, impressive. Deepish purple in colour, this is really fabulously classy with great density and a lifted magical finish. Some blood orange notes lurk in the fruit. Altogether this is a red-blooded wine – really terrific. The finish is awesome: the whole range is really fine this year. From 60-year-old vines, this has an exceptional, dense, purple-black colour. There is a riot of ripe, red fruit driving the bouquet. While the oak is lightly present, there is such a generosity of fruit that it swamps all over the barrels, and the wine finishes on its fruit with some minerals too. One-third Gamay, two-thirds Pinot, this has a brilliant dark colour with purple rim, a hedonistic, seductive nose: yes, please. Very pretty fruit that marries the two grapes perfectly; it’s absolutely beautiful. Drink 2018-2021. With prices in Burgundy still rising, even if often for understandable reasons, the appellations Bourgogne Blanc and Bourgogne Rouge are great places to look for affordable wines. You get the opportunity to drink wine from a top winemaker, from vines which are adjacent to the famous villages, and which will be accessible earlier. The 2005 Bourgognes Rouges are still delicious and youthful more than 10 years later, but most wines have been drinking well for a few years now. Sadly this is a very small cuvée but we like it a lot, despite the touch of reduction on the nose. There is a wealth of fruit, a lively thread of acidity, with notes of black cherries and fresh raspberry in this large-scale, flamboyant wine. Seductive, fresh and succulent, it is very agreeable. With beautiful, juicy dark fruit, this really blossoms with time in the glass. Drink 2021-2030. Jérôme Castagnier is the Guide Hachette’s Burgundian vigneron of the year for 2017 and has been shortlisted for young vigneron of the year in the region’s own awards, so it is all happening for him. He began picking his 2015s on September 9th and finished on Saturday 12th before the rain that fell later that day. This year he has used one-third whole bunches for his village wines and the Crus, and in the last two years has refined his barrel regime so that the wood has less impact on the wine. Note that the malolactic fermentation was only just finishing when we tasted and this may have impacted the bouquets. A rich purple but less black, there is a bit more refinement here. The wine has excellent weight, with a good mass of fruit behind which is lively all the way through. The blueberry notes are elegant with nuances. It’s very persistent indeed – a wine for the long term. Drink 2025-2035. From a brilliant place in the upper part of the Clos, with 40-year-old vines. It is rich and dark colour with a powerful nose, dark red fruit and some chocolate. Thick-textured with some wood tannins. A rich, masculine Clos Vougeot. After lengthy negotiations, we have secured a good allocation of these top class 2013s from Jérôme Castagnier. We fell just as much in love with the generic wines as with those further up the scale. Jérôme began on 1st October, taking pains to verify the ripeness of each vineyard before deciding the picking date. The grapes were all de-stemmed. These vines are over the road from Cheseaux and they seem to offer something of a Morey note. This is quite structured for a Charmes, a bit more compact than usual. Nevertheless, there is plenty to enjoy, especially in the core of slightly savoury, deep redcurrant fruit that sits at its heart. Drink 2025-2035. Jérôme’s half-hectare is in the south-eastern corner of the Clos (away from the road, known as Grand Maupertuis) and is directly beside one of the Lamarche plots. Only 4.5 barrels were made this year from his 50-year-old vines. This is a terroir for powerful wines and this squares up to its responsibilities, with strong black fruit and an impressive weight. Drink 2025-2038. There is an element of black cherry to this wine, as the vineyard abuts Morey and is more influenced by the limestone closer to the surface. Really precise and with a touch of iron to complement the fruit. Jérôme finds a viande saignante (rare meat) note on the wine’s crisp finish. Drink 2020-2025. There is always a breathless and rather chaotic energy in the Castagnier cellar but this year Jérôme could scarcely contain his enthusiasm. He loves his 2017s. To him they have the friand and gourmand style of 2014 but with more depth and density. He started his harvest on 6th September and employed less pigeage (punching down) than usual. The exigencies of the 2018 vintage meant Jérôme was obliged to move his 2017s to tank earlier than usual but even this has worked to his advantage: less time in wood has dialled up the focus and exuberance of this irresistible range of 2017s. Very fresh and direct, this has a lovely soft appeal on the mid-palate. The essence of the old vines (planted in 1921) really comes through and gives a silky plushness to the palate. This is very good for village level. There’s just a touch of graphite to finish. Drink 2020-2025. Another vibrant purple, the nose clearly needs time, but there is a rich thread of opulent dark fruit all through the palate, leading to a modestly tannic finish. Very long indeed though, this will make a beautiful bottle after a decade. Drink 2025-2035. Jérôme’s vines are in the 0.16-hectare higher extension of the vineyard which sits just across from CharmesChambertin. There is hardly any topsoil here and the wine’s style is very distinctive with a clear salinity, really bright fruit but always a lovely balance. Drink 2022-2027. This parcel is a stone’s throw from the MoreyCheseaux. The wine is quite chunky but the precocity of the vintage suits the wine, giving it some lift. The tannins are quite burly and there are also notes of cherry stone and chocolate. Drink 2025-2030. A most amiable example. Like all of Jérôme’s vines, these are planted in a single parcel, here from Morey-St Denis, with two-thirds Pinot Noir, one-third Gamay, co-planted 60-year-old vines. What’s not to like? Fruity and crunchy. Drink 2019-2023. Jérôme was obliged to do a lot of green harvesting and the result is impressive. There is an arrow of positive fruitiness and then an explosion of cherry-bonbon immediacy. Really delicious, fun and companionable wine. Drink 2019-2023.